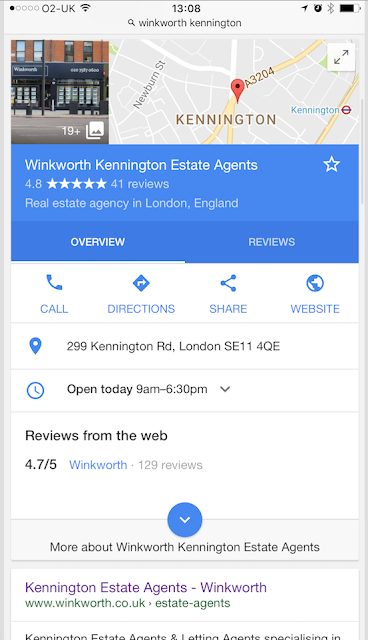 HelpHound Blog: Google ramps up review visibility - again! 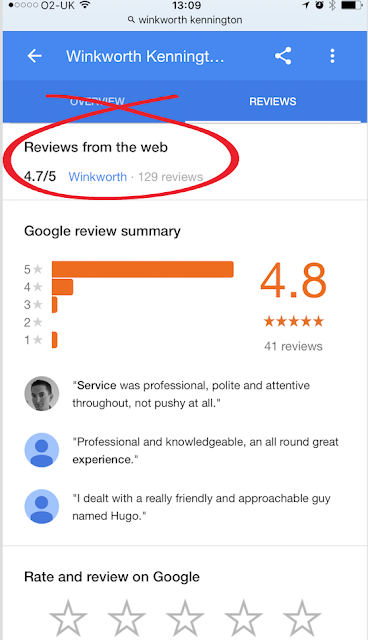 Just when we thought Google could not make reviews more visible - they do it again! Both kinds too - yours and theirs. This gives the potential customer many options: map, address, opening hours etc. 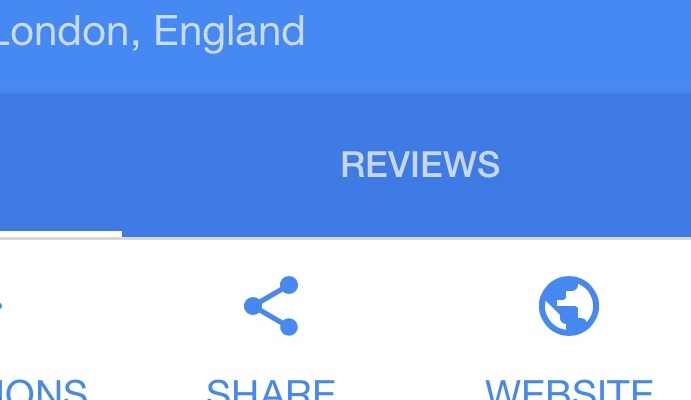 but we will stay with reviews for now. 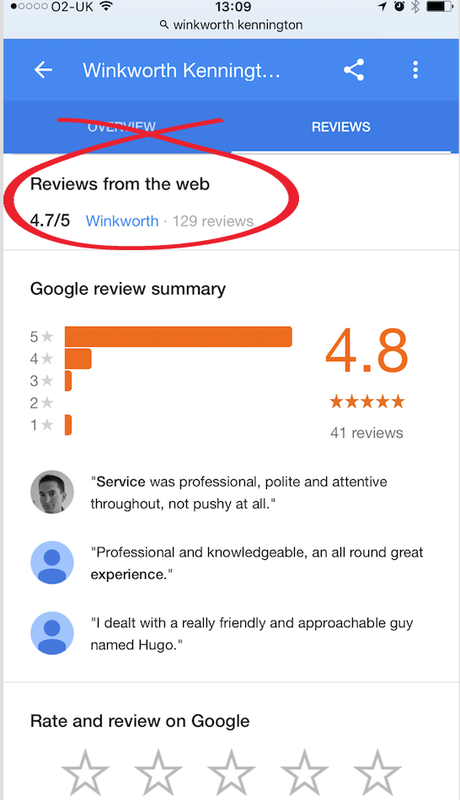 First there is the rating (numerical - 4.8 in this example) and stars (five) as well as the number of reviews - a click there takes the user straight to the business's Google reviews (see the third of the four screengrabs). 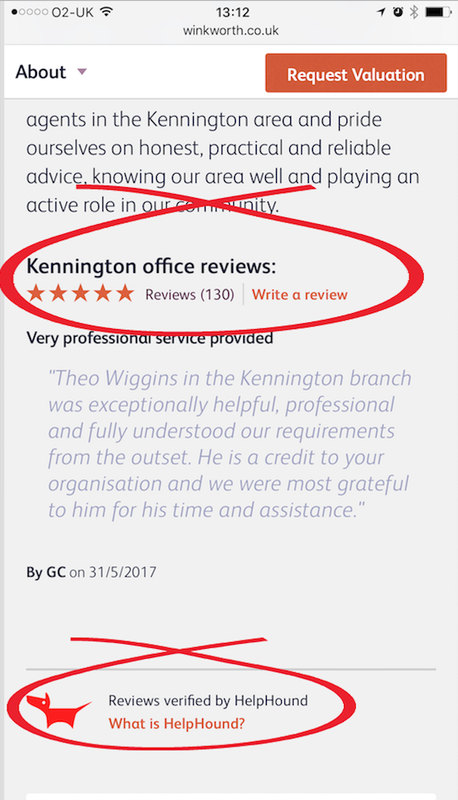 Underneath that is 'Reviews from the web' - again showing a score and number of reviews, but this time taken from the business's own reviews hosted on their own site. 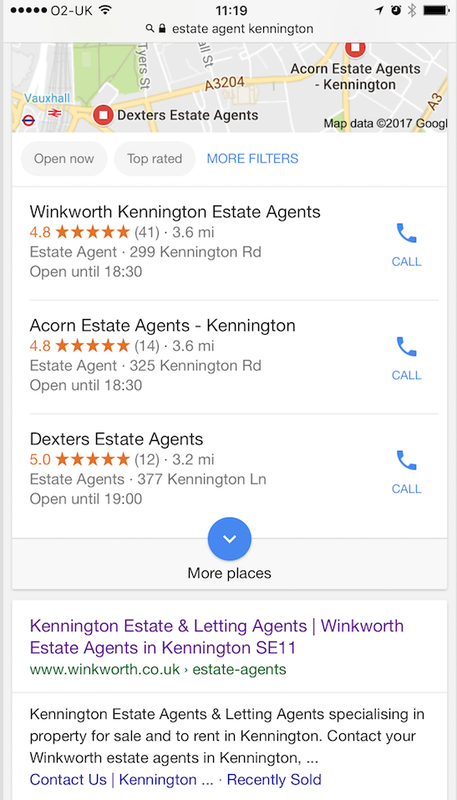 In addition you can see two links to the business's website - centre right of the Google knowledge panel and right at the bottom - top of natural listings (as you might expect). 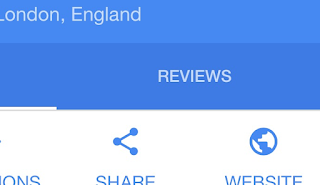 Clicking on both of these will lead to reviews prominently displayed on the business's mobile site. 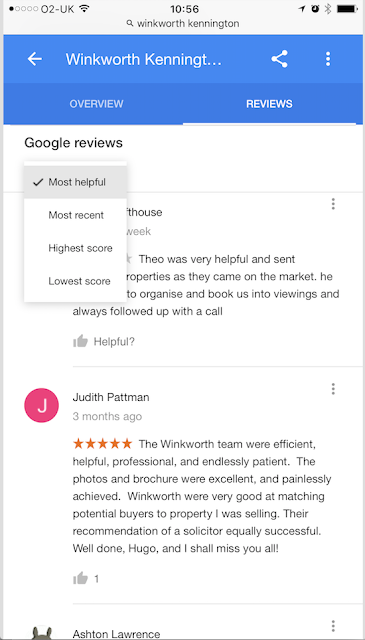 Three things here: a scrolling feed of verified reviews, a link to enable anyone to read all the business's reviews and a link to an explanation of HelpHound's role in the process. And guess which tab in the drop-down menu most consumers choose? 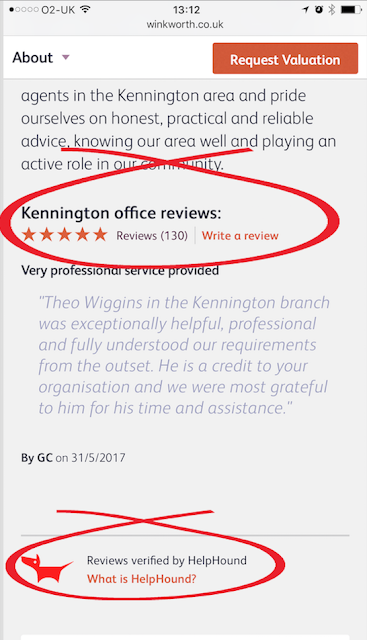 That is why it is so important to have a mechanism like Resolution™ that enables you to address inaccurate or misleading reviews pre-publication. Don't miss the overall message! 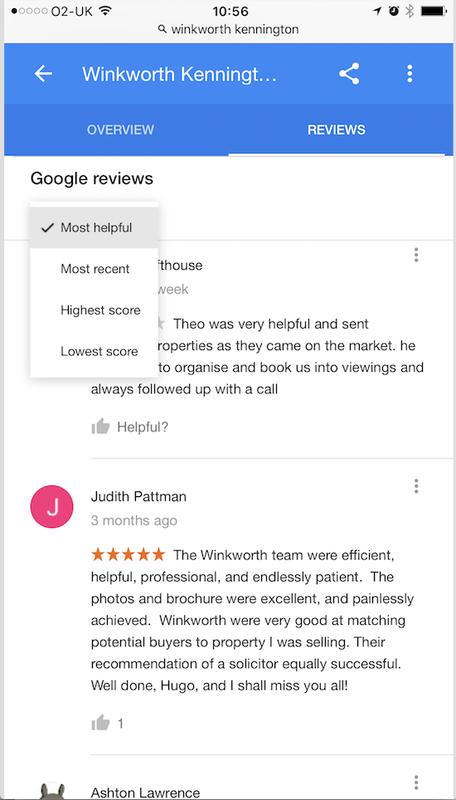 Google has not made this change on a whim: by devoting more and more of the search experience to reviews Google is telling businesses that your potential customers want to read reviews. Answer? Top of the Google three-pack and top of organic search.